Great Outdoors Palm Springs - SPECIAL HALLOWEEN COSTUME PARTY hosted by George, Tony & Eddie. SPECIAL HALLOWEEN COSTUME PARTY hosted by George, Tony & Eddie. 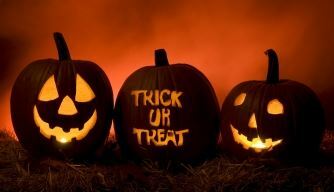 Welcome all GHOSTS, GOBLINS, GHOULS..... and assorted characters! GOPS members (and two guests per member) are invited to attend this SPECIAL HALLOWEEN PARTY on Friday, October 26 at 6:00 p.m. This party will have a Registration Fee of $10. to all members and guests. (We have a capacity of 40); you do NOT need to bring a Pot Luck dish! Each member can bring up to two (2) guests. If you are not a member yet, you will not be able to register for this party. You can first join as a member online and then register for this party if you like. A (Mexican theme) buffet dinner will be served at the party. Please bring your own adult beverages (BYOB). Location and Directions: To be provided via e-mail to those who register and pay for this event. Children: Require a special waiver liability - contact David if you plan to bring a child. Once registered (and $10. fee paid), there will be no refunds available.